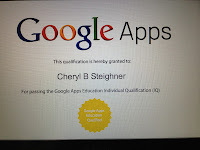 Earlier this month I became a Google Apps for Education Qualified Individual. 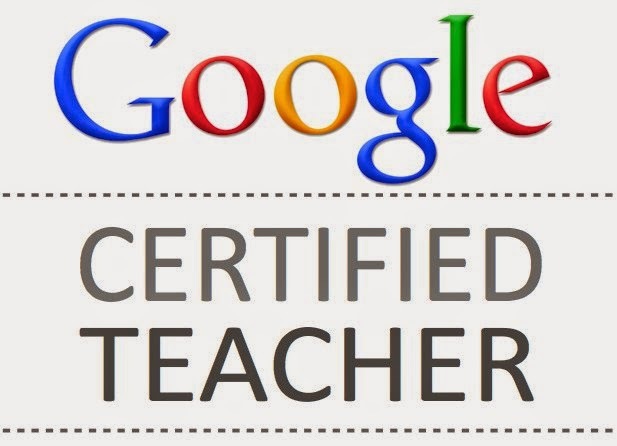 With this certification I feel more equipped to lead professional development in my district, as well as implement Google tools more effectively with my students and colleagues. Google Apps is a fairly new endeavor for my district, and I was fortunate to be a part of their pilot program last Spring. Some were skeptical in allowing access to my elementary-aged students, but they proved to many that the Google Suite could be a powerful learning tool, despite their age. Apps not only allowed students to improve their technology skills, but it increased academic performance and communication among my students, all while building confidence and classroom community that extended beyond school walls. 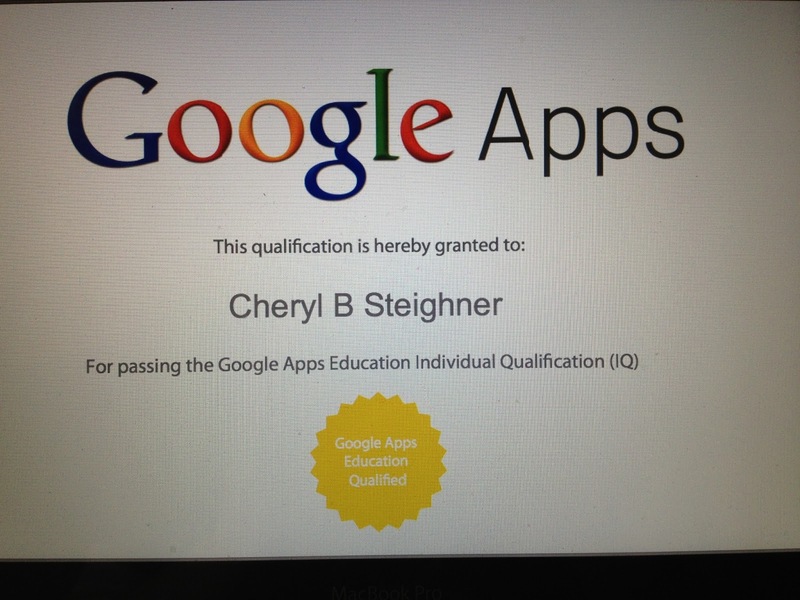 Since then, I've been a huge proponent of Google Apps in the elementary classroom. Educational technology is a huge part of my life as an educator, but something I rarely discuss here in this space. Thanks to Shannon's, prodding, I'd like to share how I introduce Apps in my classroom. I spend a great deal of time talking with parents and students about Google Apps and what it can do for our classroom. I discuss security features and concerns with parents, and routinely model how easily it can be integrated into our class work with students. I also have a parent info sheet with resources I've gathered to hand out at Open House. Secondly, students and I sit down and get real about the realities of using digital tools. Basically, my spiel goes like this: "Access to Apps is a privilege. It must be earned. It can be taken away." This is a great time to revisit the Acceptable Use Policy they signed the first week of school. I really love the Piano and Laylee picture book series from ISTE, as they explain really complicated (but important!) topics to kids in easy-to-understand language and scenarios. I've created a Google acronym that walks students through various skills needed to be successful with the Apps suite. When the students can demonstrate competency in a particular area, the class earns a letter. G - Go on the computer. This includes basic skills like can you log on and safely shut down the computer? Do you know where to access student files? Can you save files in the correct place? Who besides your teacher can you turn to if you have a question? O - online safety. This is no doubt a critical component when teaching digital literacy. As a class, we create anchor charts, usage agreements, and role-play possible scenarios. I also help students create a safe password and print out three copies - one for them, one for their parent, and one for me. O - Open Google Apps. It takes a while for kids to be comfortable with the sign-in and log-off process, so we practice it many, many times. I also introduce components of the Apps Suite kids can access, such as Calendar and Sites. G - Got Email? 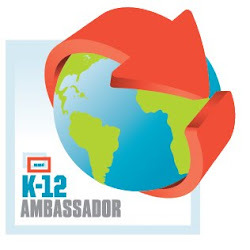 My first priority is teaching students to send an email and share a document. I start by having students write friendly letters on a paper screen-shot of the email browser, and then transfer their letters the digital email. This process ensures students see the relationship between paper and digital mediums, and helps them realize that they aren't just "texting" each other. We set expectations for online communications. For example, I will not respond to students that use texting language. This is a great place to tie in author's purpose and audience. I've found that when we set priorities and expectations together, kids take it more seriously and hold each other accountable. L - Learn about apps. I show them fun things they can do, such as give feedback to a friend on a writing piece, create a quiz to document data, create a website, and prepare a presentation with a friend. This biggest lesson here is to let students explore - they won't break it. E - Extend your Learning. We discuss multiple ways to use Google Apps that help make us more efficient and effective learners. I challenge students to complete an independent project or collaborate with a friend, either as part of home learning or as class work. Once every two weeks (or as needed) we talk about issues that come up using technology during afternoon meeting or brainstorm new ways to use Google Apps. Most recently, a girl started using Calendar to schedule recess play dates, something I'd never have even dreamed about! Students also act as IT support for when issues arrise and I can't get it right away. What do you find helpful in getting Google Apps set up in an elementary classroom? What are must-have conversations you have with students and features you emphasize first?